Over the past two weeks, the Legislature’s policy committees held long hearings to consider a nearly overwhelming number of bills of potential interest. Below, sorted by subject, is a summary of the bills that passed out of committee during the last two weeks. Remarkably, the only bill to fail passage (of those we’re tracking) was AB 750 (Chen, R-Yorba Linda), which would have required school districts and charter schools to have at least one school resource officer present at each school during regular school hours and any other time when students are on campus. Despite support from the Democrat Chair and Republican Vice-Chair, the bill couldn’t get a fourth vote needed to pass out of the Assembly Education Committee. The bill failed passage 3-0-3 and was not granted reconsideration. Why so many bills? In 2016, the California State Assembly increased the bill limit (the maximum number of bills a legislator can carry in a given session) from 40 to 50 bills. While a ten-bill increase may sound small, multiply ten by 80 members of the State Assembly and you have 800 more bills. Remarkably, neither the Assembly, nor the Senate, increased the number of personal staff (for legislators), or committee staff, to fully accommodate the increase in legislation. And why won’t some die, already? While the increased bill limit means more legislation, it is accompanied by a reluctance on the part of many legislators to kill their colleagues’ bills. This is often referred to as a “courtesy vote.” Why kill your colleagues’ bill when the other house will do it? We’re seeing more courtesy votes early in the legislative session with new legislators – when many haven’t fully formed their personal/professional alliances and relationships. So far this year, we’ve watched multiple committee votes where it is clearly a courtesy vote situation – either because a legislator is helping their colleagues, or because the committee members are falling-in-line with the committee chair for political circumstances. For these reasons, we don’t expect to see many more bills die until they move to the second house. What’s Next? This week is Spring Break for the Legislature, but they return next week for what will be another wild week because the next Friday (April 26) is the deadline for bills with costs to pass out of policy committees. Fiscal bills that fail to pass out of the policy committee by next Friday will be dead for 2019 and considered two-year bills (absent a rule waiver). We will provide an update on those upcoming actions. Easily the most contentious issue from the past few weeks, the Assembly Education Committee considered three bills (AB 1505, AB 1506, and AB 1507– detailed below). The bill package drew more than four hours of testimony, mostly due to long lines of union members, charter school operators, homeschool supporters, and parents voicing their positions at the microphones. It wasn’t a surprise these three bills advanced, as a majority of the committee members were either authors or coauthors of all three bills. The three bills passed with the same vote count, 4-1-1. Assembly Education Committee Chair Patrick O’Donnell (D-Long Beach) is carrying AB 1303, which would consolidate funding for the CA Career Technical Education Incentive Grant (CTEIG) Program within the K-12 system by moving $150 million away from Community College control. It would also augment the annual appropriation by $150 million, bringing the total funding for the program to $450 million. The bill is a proxy for a budget negotiation between the State Assembly, State Senate, and the Governor’s Administration. There is considerable bi-partisan support for a proposal like this and it is on the top of many budget-watchers’ lists of potential negotiation items between the Governor and Legislature. AB 1303 passed out of the Assembly Education with a unanimous, bipartisan vote of 6-0-0. One of two bills dealing with Special Education funding advanced out of the Senate Education Committee last week. SB 217 (Portantino, D-Pasadena) would create the Early Intervention Grant Program, which would be designed to increase inclusive access to early education programs for children with exceptional needs and expand eligibility for transitional kindergarten to include children with exceptional needs turning five years old at any time during the school year. Extending the sunset of the CCAP partnership program. Below are all of the bills that advanced out of Assembly and Senate Education Committees over the past two weeks. AB 398 (Chu) – School accountability: local control and accountability plans: visual and performing arts. Requires the California Department of Education (CDE) to incorporate elementary enrollment and completion data for visual and performing arts (VAPA) into the California Longitudinal Pupil Achievement Data System (CALPADS). Requires school districts to submit VAPA data via CALPADS for grades kindergarten through sixth, and requires school districts to include VAPA data in their Local Control and Accountability Plans (LCAPs). AB 1087 (Cunningham) – Pupil instruction: California Financial Literacy Initiative. Requires that the one semester course in economics required for high school graduation include specified content in financial literacy. AB 1240 (Weber) – School accountability: local control and accountability plans: state priorities: pupil achievement. Requires school districts to include the percentage of pupils who have successfully completed courses that satisfy the requirements for entrance to the University of California (UC) and the California State University (CSU) as a measure of pupil achievement in their LCAPs, the percentage of pupils who have successfully completed courses that satisfy the requirements of career technical education (CTE) sequences, or both. AB 1466 (Irwin) – State longitudinal education data system. Establishes a statewide student longitudinal database taskforce which must create a document setting forth the guidelines for a forthcoming database. AB 1624 (Rivas, Robert ) – School climate: surveys: report. Requires CDE, the Department of Health Care Services (DHCS), and the Department of Public Health (DPH) to provide a report to the Legislature no later than March 1, 2020, on how to monitor certain measures of pupil behaviors, available school supports, and school climate and engagement, using a survey tool. Also requires that the report identify ongoing funding sources and recommendations for schools to conduct annual surveys and requires that data collected from such surveys be used to support local school and community agency planning efforts. SB 2 (Glazer) – Statewide Longitudinal Student Database. This bill requires the California Postsecondary Education Commission (CPEC) to convene a review committee to advise CPEC regarding the creation of a statewide longitudinal student database. This bill requires CPEC to develop and implement the database on or before July 1, 2022. AB 1505 (O’Donnell) – Charter schools: petitions. Among other things, the bill would allow local school boards to authorize a charter school (may vs. shall) and eliminates state board appeals. AB 1506 (McCarty) – Charter schools: statewide total: authorization restrictions. Establishes a statewide and local cap on the number of charter schools that can operate. AB 1507 (Smith) – Charter schools: location: resource center. Eliminates the authorization for a charter school to be located outside the boundaries of their authorizer in specified instances; and, authorizes a nonclassroom-based charter school to establish one resource center within the jurisdiction of the school district where the charter school is located. AB 30 (Holden) – Community colleges: College and Career Access Pathways partnerships. Streamlines the process for developing College and Career Access Pathways (CCAP) partnerships, in part by: changing the conditions of how CCAP partnership agreements may be adopted; authorizing high school pupils to complete only one community college application for the duration of their attendance; changing the due date the California Community Colleges (CCC) Chancellor submits the CCAP partnership summary report; and, extending the sunset of the CCAP partnership program. AB 1012 (Reyes) – Bilingual education: bilingual and biliteracy program support and recognition. Requires, upon appropriations for this purpose, CDE to provide grants to local educational agencies (LEAs) for, among other purposes, support of professional development for teachers seeking bilingual authorizations, professional learning for child development providers so that they can support the development of dual language learners, for the startup or expansion of dual language immersion programs; and establishes a California Exemplary Bilingual and Biliteracy Program school recognition program. AB 1303 (O’Donnell) – California Career Technical Education Incentive Grant Program: Strong Workforce Program. Increases the long term, stable funding stream for career technical education programs in California’s K-12 schools from $150 million to $450 million per year for the Career Technical Education Incentive Grant Program, and consolidates the K-12 CTE programs. AB 1393 (Weber) – Pupil instruction: model curriculum: Laotian history and cultural studies. Requires the Instructional Quality Commission (IQC) to develop and submit to the State Board of Education (SBE) a model curriculum relative to the history and cultural study of Laotian refugees. SB 217 (Portantino) – Special education: inpiduals with exceptional needs. This bill creates the Early Intervention Grant Program to increase inclusive access to early education programs for children with exceptional needs and expands eligibility for transitional kindergarten to include children with exceptional needs turning five years old at any time during the school year. SB 554 (Roth) – Public schools: adult school students: Advanced Scholastic and Vocational Training Program. This bill allows community college district governing boards to admit adult school pupils pursuing a high school diploma or the equivalent as special part-time or full-time dual enrollment students. SB 594 (Rubio) – Pupil instruction: English Learner Roadmap Initiative. This bill establishes the California English Learner Roadmap Initiative under the administration of the CDE in collaboration with the California Collaborative for Educational Excellence. AB 776 (Kalra) – Education data: pupil identifiers: childcare and development services. Requires county offices of education to issue statewide unique pupil identifiers on behalf of state and federally funded childcare and development programs that are not operated by local educational agencies. SB 443 (Rubio) – Transitional kindergarten: average daily attendance. This bill would delete the provision that prohibits a pupil admitted to a transitional kindergarten who has their birthday after December 2 from generating average daily attendance or being included in the enrollment or unduplicated pupil count. SB 614 (Rubio) – Early childhood education: county offices of education: grant program. This bill establishes in statute the Inclusive Early Childhood Education Grant Program for the purpose of increasing access to inclusive early childhood education programs including children with exceptional needs. AB 48 (O’Donnell) – Education finance: school facilities: Kindergarten-Community Colleges Public Education Facilities Bond Acts of 2020 and 2022. Places the Kindergarten-Community Colleges Public Education Facilities Bond Acts on the statewide 2020 primary and 2022 general elections, to be operative only if approved by voters at the statewide elections. SB 743 (Hertzberg) – School facilities: design-build projects. This bill clarifies that, upon entering into a design-build contract for a project subject to the California Environmental Quality Act (CEQA), Los Angeles Unified School District shall retain the discretion to terminate the contract before final project design submittal and modify the project as needed to ensure project compliance with CEQA. AB 272 (Muratsuchi) – Pupils: use of smartphones. Requires the governing body of a school district, a county office of education, or a charter school to adopt a policy to limit or prohibit the use by its pupils of smartphones, except for a few exceptions. AB 709 (Bonta) – School districts: governing boards: pupil members. Requires pupil members of a governing board of a school district be appointed to subcommittees in the same manner as other board members. AB 1127 (Rivas, Luz) – Interdistrict attendance: prohibition on transfers by a school district of residence. Prohibits a school district of residence from denying the transfer of a homeless youth, migratory child, foster youth, or victim of an act of bullying if the school district of proposed enrollment approves the application for transfer. Requires the school district of enrollment to enroll students based on an unbiased process. Requires a school district of enrollment to provide transportation for a pupil who has transferred and is eligible for free or reduced-price meals, at the request of the parent. AB 1214 (Melendez) – Teacher credentialing: renewal: cardiopulmonary resuscitation. Requires a school district, in their program of professional growth for teachers, to include a basic course in cardiopulmonary resuscitation at least once every two years. SB 419 (Skinner) – Pupil discipline: suspensions: willful defiance. This bill extends the prohibition against suspending a pupil enrolled in kindergarten or any of grades 1 to 3 for disrupting school activities or otherwise willfully defied the valid authority of school staff to include grades 4 to 8 permanently, and grades 9 to 12 until January 1, 2025, and applies these prohibitions to charter schools. SB 585 (Wieckowski) – Education governance: school district reorganization: unified school districts: report. This bill requires the California Department of Education to prepare a plan for a transition so that, as of July 1, 2025, all school districts will be unified school districts. AB 500 (Gonzalez) – School and community college employees: paid maternity leave. Requires that school districts, charter schools, and community colleges provide at least six weeks of full pay for pregnancy-related leaves of absence taken by certificated, academic, and classified employees. AB 1119 (Garcia, Eduardo) – Teacher and Substitute Shortage Workgroup: small school districts. Requires the Commission on Teacher Credentialing (CTC), in partnership with CDE to establish the Teacher and Substitute Shortage Workgroup to identify steps that can be taken to improve both the substitute pool and the qualified teacher workforce in small school districts. AB 1623 (Rivas, Robert ) – Teaching credential: teacher recruitment: Golden State Teacher Grant Program. Establishes the Golden State Teacher Grant Program to provide one-time grant funds of $20,000 to each student enrolled on or after January 1, 2020, in a professional preparation program leading to a preliminary teaching credential, if the student commits to working in a high-need field for four years after he or she receives a teaching credential. AB 1658 (Carrillo) – Teacher credentialing: adult education: workgroup. Requires the CTC to establish a workgroup to study issues relating to adult education teacher credentialing. SB 478 (Rubio) – Commission on Teacher Credentialing: membership. This bill changes the membership of the CTC by replacing one public member with a certificated public school human resource administrator. AB 39 (Muratsuchi) – Education finance: local control funding formula: aspirational funding level: reports. Increases the school district and charter school Local Control Funding Formula (LCFF) base grant funding targets, and creates a new grant-add on. SB 675 (Chang) – Education finance: Computer Occupations and Developing Education (CODE) Act: State Lottery Fund. This bill would establish the Computer Occupations and Developing Education (CODE) Act, a grant program for local educational agencies offering computer science courses funded with up to $100 million of State Lottery Funds. SB 729 (Portantino) – Local control funding formula: school districts and charter schools. This bill dedicates additional funding to the LCFF by increasing the applicable cost-of-living adjustment for the LCFF in 2019-20. AB 34 (Ramos) – Pupils: bullying and harassment prevention information. Requires local education agencies to prepare a Bullying and Harassment Prevention Handbook, including specified content, and to distribute copies and post the content on their websites. SB 541 (Bates) – School safety: lockdown drills. This bill requires every public school, including charter schools, and every private school that has an enrollment of 50 or more pupils or more than one classroom, that provides educational services to pupils in kindergarten or in any of grades 1 to 12, inclusive, to conduct a lockdown drill at least twice per school year. Replaces the terms “at-risk” to describe youth with “at-promise” within the Education Code and the Penal Code. AB 624 (Gabriel) – Pupil and student health: identification cards: sexual assault and domestic violence hotline telephone numbers. Requires that public and private schools serving students in grades 7 through 12 print the telephone numbers of sexual assault and domestic violence hotlines on student identification cards. AB 666 (Gabriel) – Pupil mental health: model referral protocols. Requires CDE to develop model referral protocols for voluntary use by schools to address the appropriate and timely referral by school staff of students with mental health concerns. AB 743 (Garcia, Eduardo) – Pupil health: self-administration of prescribed asthma medication. Requires a school district to accept the written statement from a physician or surgeon, who is contracted with a binational health plan which is licensed in California, for the purposes of authorizing a pupil to be assisted by a school nurse or other designated school personnel, or to carry and self-administer inhaled asthma medication that the pupil is required to administer during the regular schoolday. AB 1126 (O’Donnell) – Mental Health Services Oversight and Accountability Commission. Requires the Mental Health Oversight and Accountability Commission to take specific measures to increase the transparency and accountability of mental health expenditures, and to support and share innovative practices in the delivery of mental health services, with a focus on youth mental health. AB 1319 (Bonta) – Migrant education: pupil residency. Requires LEAs to allow migrant students to continue their education in the school of origin, regardless of any change of residence during that school year, and requires that a migrant student be immediately enrolled in a new school. AB 1729 (Smith) – Pupils: attendance at community college. Extends inoperative dates for the prohibition of certain community course enrollments from being counted toward the 5 percent limitation of K-12 pupils per grade level allowed to be recommended for community college summer attendance. SB 265 (Hertzberg) – Pupil meals: Child Hunger Prevention and Fair Treatment Act of 2017. This bill, an urgency measure, amends the Child Hunger Prevention and Fair Treatment Act of 2017 to require applicable LEAs to ensure that a pupil whose parent or guardian has unpaid school meal fees is not shamed, treated differently, or served a meal that differs from what a pupil paying for a meal would receive, without regard to the LEA’s federally-mandated meal charge policy, thus ensuring that all students receive the same meal. SB 346 (Jackson) – After school programs: Distinguished After School Health Recognition Program. This bill re-establishes the Distinguished After School Health (DASH) Recognition program, to be administered by CDE. SB 428 (Pan) – Pupil health: school employee training: youth mental health first aid. This bill would add completion of a course in youth mental health first aid to the list of requirements for obtaining a clear multiple or single subject teaching credential. SB 499 (McGuire) – School meals: California-Grown for Healthy Kids Program. This bill establishes the California-Grown for Healthy Kids Program to increase the provision of universally free school meals with California-grown fruits and vegetables, which would include supplemental funds of $0.10 per breakfast served to eligible school food authorities. SB 563 (Roth) – Community colleges: College and Career Access Pathways Grant Program. This bill would establish a CCAP Pilot Program, administered by the Chancellor of the California Community Colleges, with the goal of improving the existing CCAP program. SB 582 (Beall) – Youth mental health and substance use disorder services. This bill authorizes county mental health services providers and LEAs, to enter into partnerships that provide mental health and substance use disorder services to youth. This bill provides that these partnerships provide prevention, early intervention, and other related mental wellness services. This bill requires the Mental Health Services Oversight and Accountability Commission (MHSOAC) to allocate at least 50 percent of the monies in the Mental Health Wellness Act (MHWA) competitive grant program to fund these partnerships. In the event that there are an insufficient number of these partnerships between LEAs and county providers among the grant applicants, this bill requires the Commission to meet the mandated 50 percent allocation by competitively awarding remaining funds to youth oriented programs. SB 586 (Roth) – College and Career Access Pathways partnerships. This bill requires the governing board of a school and community college district, as part of a career technical education CCAP partnership, to consult with the appropriate local workforce development board to determine the extent to which the pathway is aligned with regional and statewide employment needs. 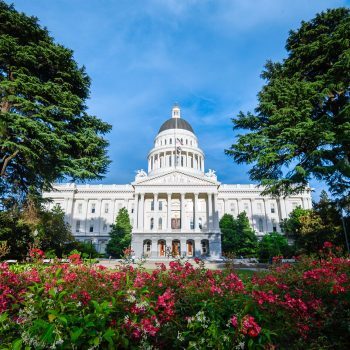 SB 686 (Allen) – California Promise Neighborhoods Act of 2019. This bill establishes the California Promise Neighborhood Grant Program, to be administered by CDE, for the purpose of awarding 20 grants of up to $5,000,000 each, on a competitive basis, to eligible entities to implement a comprehensive, integrated continuum of cradle-to-college-to-career solutions, including academic, health, and social programs, and family and community supports.